A tour of 9 studios and 13 guests along the CT River in Western Massachusetts. 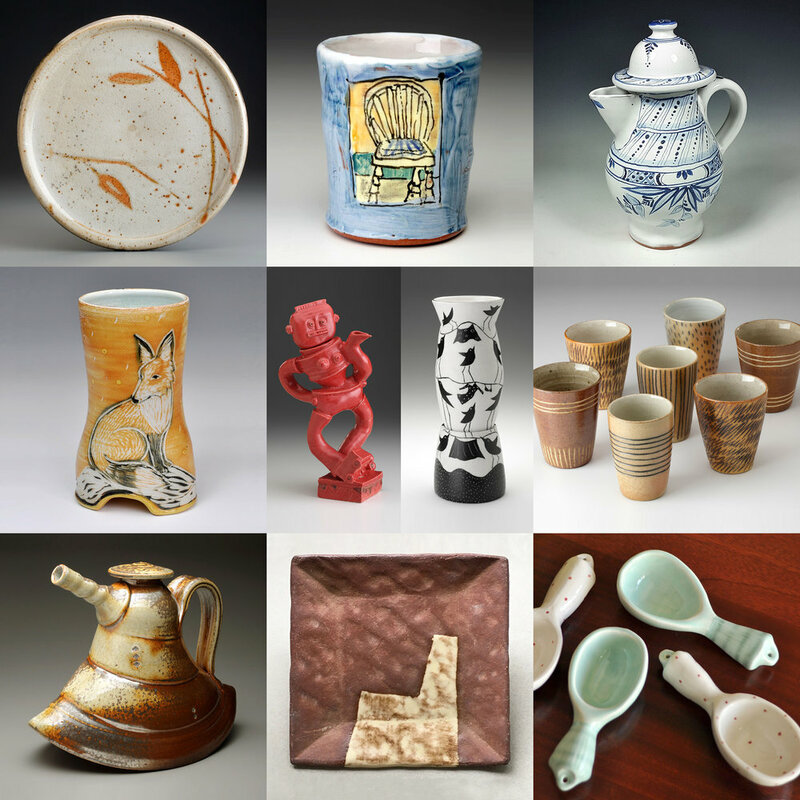 The annual Asparagus Valley Pottery Trail includes over 20 nationally recognized potters. Easily reached from Boston, Hartford, and the Albany area, the free, self-guided tour winds along the beautiful back roads and scenic historic towns of the Asparagus Valley, a local name for the upper Connecticut River valley of western Massachusetts. The Pottery Trail celebrates the rich agricultural history and cultural vitality of the area, as well as the longstanding connection between pottery and food. Download the brochure or visit their website for more info. 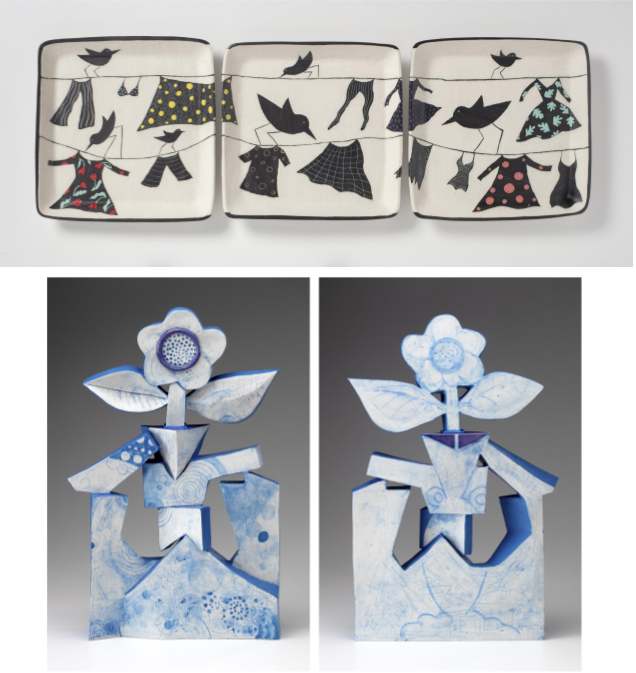 Frank and Francine’s work is included in this show featuring ceramic work from the Asparagus Valley Pottery Trail and Hilltown 6, two groups of renowned ceramic artists working in Western Massachusetts. This exhibition will overlap with the Asparagus Valley Pottery Trail Tour, April 27 – 28, 2019. Fran and I were juried into Hope and Feathers’ annual small works exhibit. I submitted a sewn piece and Fran did a six day sky journal painting. It was fun to do something local as well as to exhibit something different. The opening is this Thursday. The exhibit runs through December. The pie on the image references that people are invited to bring PIES to the event. Fran will make a blueberry crumble. We both were juried into the 5th Annual Juried Show at Gallery A3 in Amherst MA. 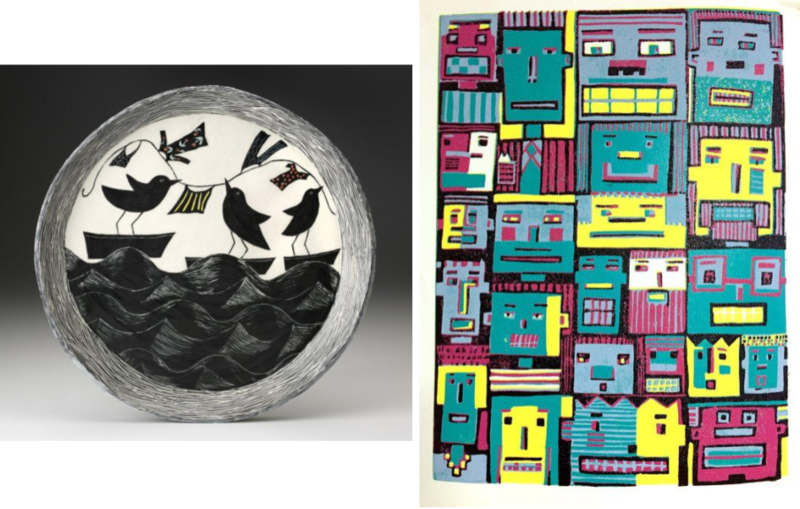 These pieces are included: Francine's Birds at Sea with Laundry and Frank's Blockhead linocut. Come visit Frank and Francine’s home studio for our annual holiday sale! Stock up on unique gifts and presents for loved ones. Refreshments provided. 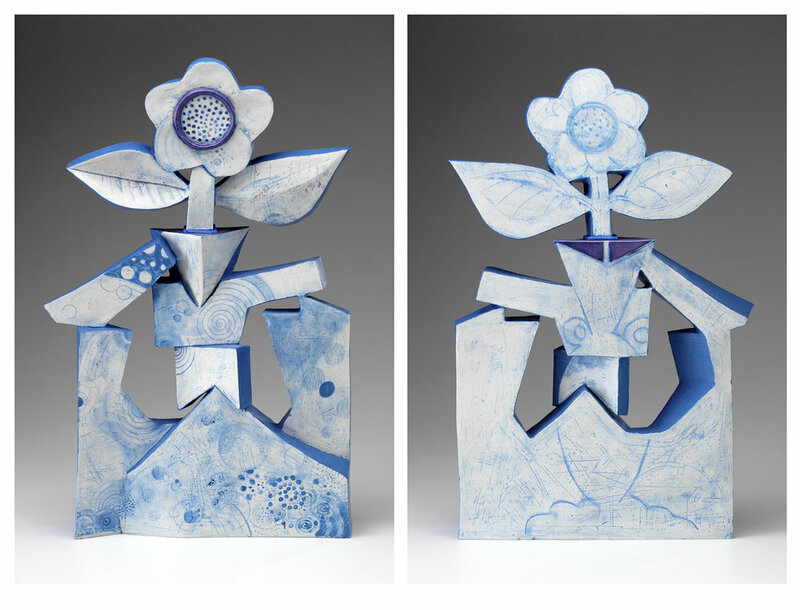 Francine's work will be included in an exhibit featuring clay artists connected to the state of Massachusetts. 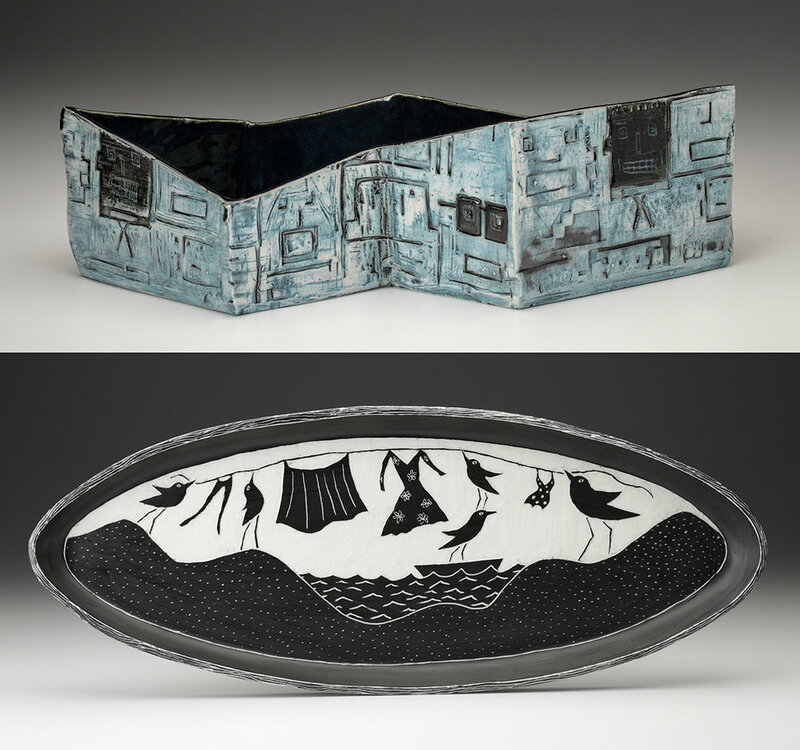 This show is juried by Emily Zilber, the Curator of Contemporary Decorative Arts at the Museum of Fine Arts, Boston MA. Supported in part by a grant from the Pelham Cultural Council, a local agency which is supported by the Massachusetts Cultural Council, a State agency. Frank is included in the Zea Mays Flat File Project. Frank was one of the 22 artists out of 200 who were chosen for a works on paper exhibit, juried by Sique Spence of Nancy Hoffman Gallery. Learn more here, at Open Call NXNE 2018.